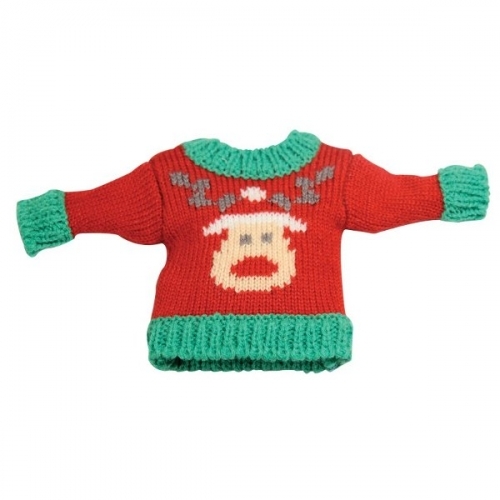 Keep your hands warm and toasty this Winter with this Christmas Jumper Handwarmer. This reusable handwarmer comes with its very own colourful Christmas jumper and is the perfect way to ward off chills when you’re battling freezing temperatures. The Christmas Jumper Handwarmer contains a gel-filled handwarmer inside which is a metal disc. Click the disc a couple of times and this sparks a chemical reaction, heating up the gel to temperatures of 55C. The Christmas Jumper handwarmer will stay warm for half an hour if left out in the open but several hours if kept inside a glove or pocket. To add extra cosiness, the handwarmer is wrapped in a removable, festive Christmas jumper featuring Rudolf, the red nosed reindeer on the front. 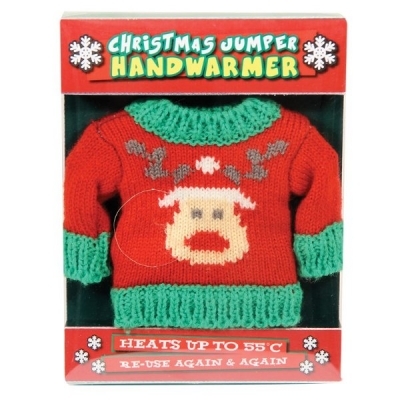 To re-use the Christmas Jumper Handwarmer, simply place it (minus the jumper) in boiling water and stir until the handwarmer’s contents become liquid again. Allow to cool and then click to activate as before. The Christmas Jumper Handwarmer is a lovely Secret Santa or stocking filler gift for anyone who enjoys a bit of festive warmth.